An insider told me about leather jackets from Kashmiri leather stalls. Kashmiri leather is regarded to be of very high quality - grass fed lambs, grazing the Himalayas yield some of the best hides around, apart from the unbeatable Gostabha and Rogan Josh of course. I was not disappointed at the stalls, the lambskin jackets were as smooth as butter and warm enough to tide you through Srinagar winters. They were well built and had all the modern designs - Bombers, Motos, Military and at a fraction of the cost. I picked up a nice black Moto jacket, though I doubt it'll be any use once I get back to Chennai. 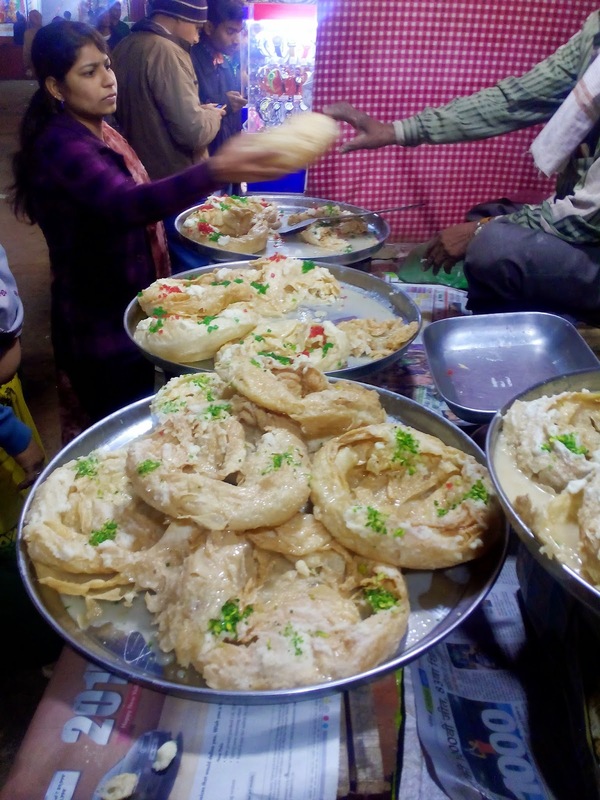 I had to try out one of the numerous Khajala and Papad stalls dotting the fair. 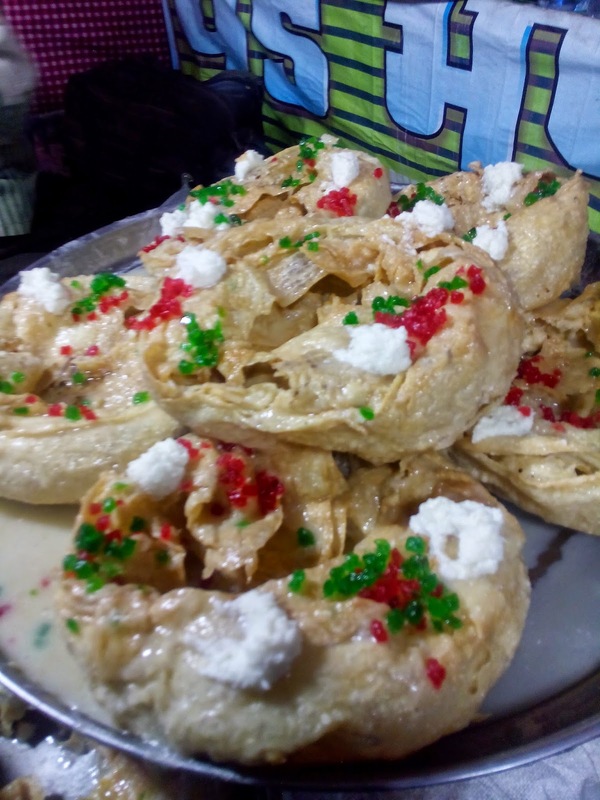 Khajala is a big cake made from layers of fried dough, soaked in sugar syrup and then topped up with mava and tutti-fruity. Crispy like a fried pastry sheet but syrupy like a Jalebi. The syrup had a smoky sweetness to it, from to the coal fire it was heated on. Adjacent to the Khajala, I saw rows of papads stacked in the tri-color - saffron, green and white - next to a huge kadai. 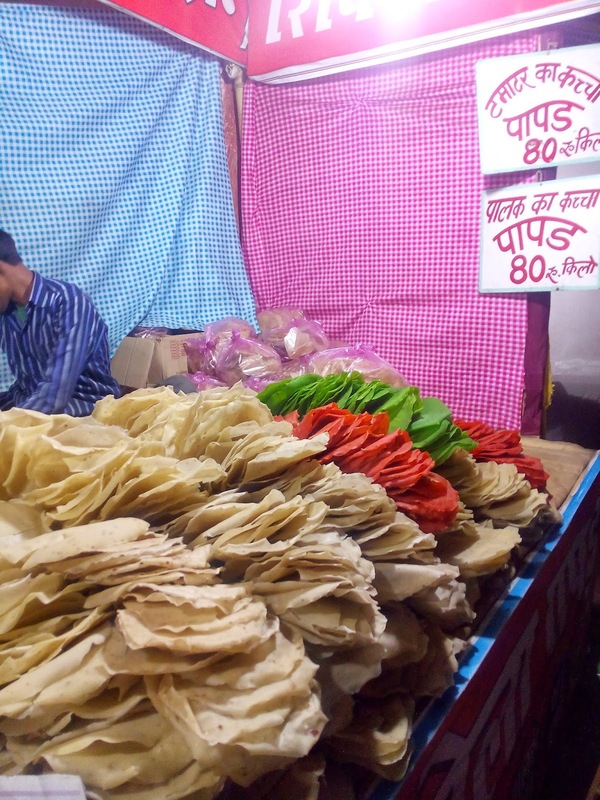 The vendor would fry up fresh papads on your order and the papads would almost magically expand to 3 times their original size. 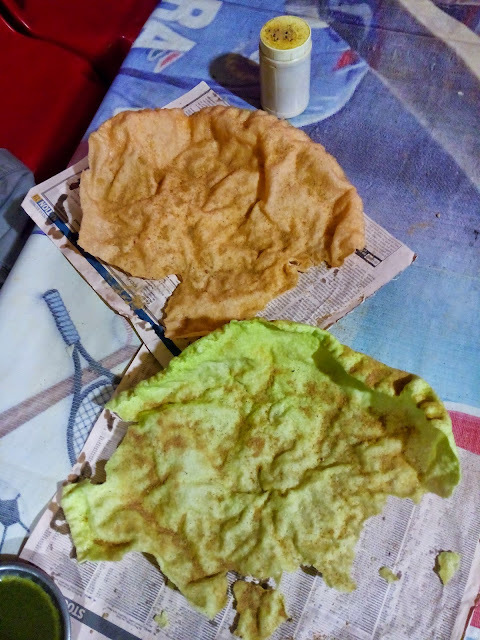 I got the saffron and green ones, which are tomato and spinach papads - the huge fried papads, once dusted with the tangy masala were delicious. They would make for the perfect bar snacks, after I figure out frying them in my puny fry pan. The Gwalior Trade Fair is held every year, between the months of December to January.